The first episode undoubtedly meets my expectations of an innovative and refreshing visual experience with interesting script and concept, so it comes as no surprise that Kuchu Buranko is the most convincing anime of the fall season in my book. It’s interesting to see anime which push the medium into new directions, and this one belongs to that category for sure. 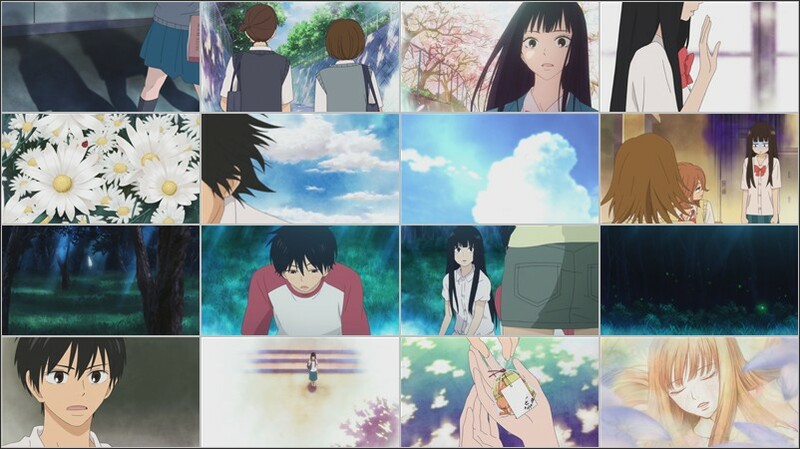 I especially like the combination of different animation techniques and also live-action segments to a lovely pool of visual variety and richness, which stands out from the generic and reused imagery of most other anime these days. Kenji Nakamura manages to compensate for the middling animation quality through inventive directing to establish a strong bond with the audience, and I feel that he’s even more accomplished in that technique than other directors with the same kind of approach (like Akiyuki Shinbou). But not only the presentation displays imaginative ideas as the narratives are also pretty unusual. The story is still a mystery at this point but makes me curious how it will eventually unfold, and judging by Nakamura‘s former projects it won’t disappoint in any case. Episode #1 is directed by Kouhei Hatano with Kimitoshi Chioka as assistant, who realized an interesting vision best described as a mixture of bizarre humour and psychological gimmickry fitting to the premise of the series, and I really like the way the hilarity is presented here with this strange balance of absurdity and seriousness. The first few episodes left me with a good impression alike the former Clamp/Madhouse works. It has its share of funny moments and fun character interactions, even if some of the characters are a bit reminiscent of other Clamp characters. 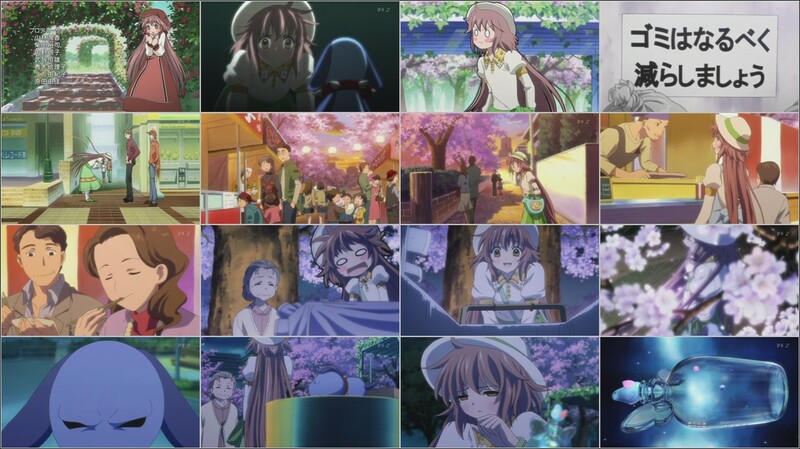 The main character Kobato is a somewhat naive girl and most of the jokes are based on her ineptness or misunderstandings derived from it, but I have to admit that it works very well and doesn’t feel overly forced or something. I also enjoyed the visuals despite the sugary presentation with lots of chibi/SD sequences, because these devices are used in a way that isn’t repelling but brings some visual diversion and supports the gags. 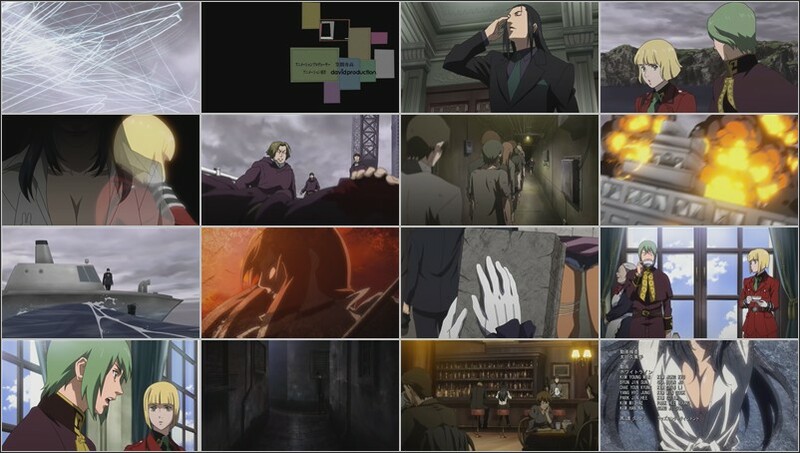 It certainly has the typical dreamy mood of the previous Clamp anime and looks very close (esp. 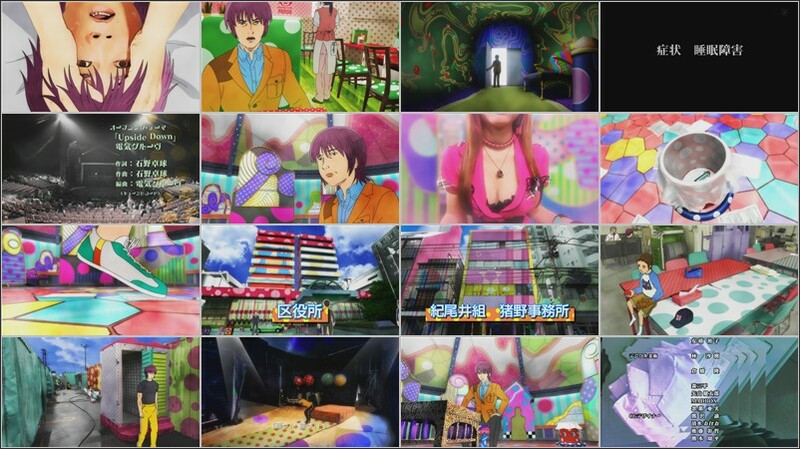 regarding color design, backgrounds and overall design) to the “Clamp in Wonderland 2” music video, but not surprisingly, since Kobato’s director Mitsuyuki Masuhara and character designer Hiromi Kato worked also on that one. The animation is decent with some nice parts like Kobato’s song performance in the second half of episode 1, though one shouldn’t expect too much in that regard. I didn’t expect an outstanding opening episode à la Soul Eater in the first place, but nevertheless something better than this rather uninspiring outcome. Speaking of Soul Eater, I could sense some influence from it, which probably originates from director Shinji Ishihira‘s work on it. But that doesn’t mean that they are really comparable concerning quality, meaning that Soul Eater is much more convincing animation-wise due to the looser approach, while Fairy Tail has stiff and hardly appealing animation reminiscent of long-running shounen series. The directing is also surprisingly spiritless and lacks any uniqueness, what leads to the uninteresting presentation of the rather decent source material. All in all I don’t have any hope that the quality will turn for the better. Nothing too outstanding despite the unusual scenario. The animation work by G&G Entertainment and JM Animation is hardly worth mentioning, but what really puts me off is the awful directing (besides the corny script). I can clearly see that they try to abandon typical anime exaggerations and behaviour to create a balance closer to a live-action drama, but it doesn’t work that easily. Of course the stiff to non-existent character animation/acting doesn’t help with that and the unfitting editing as well as the frequent pans over the static backgrounds slow down the flow too much, it might work in live-action that way, but as animation it gets easily boring and isn’t engaging at all. 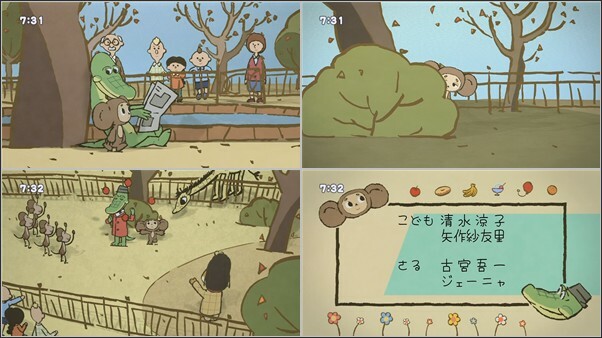 The original Russian animated film series by Roman Kachanov and famous studio Soyuzmultfilm is rather unknown among anime fans, but has been very popular in Japan since the Cheburashka movies were shown in some cinemas, it was even inducted into the Ghibli Museum Library. 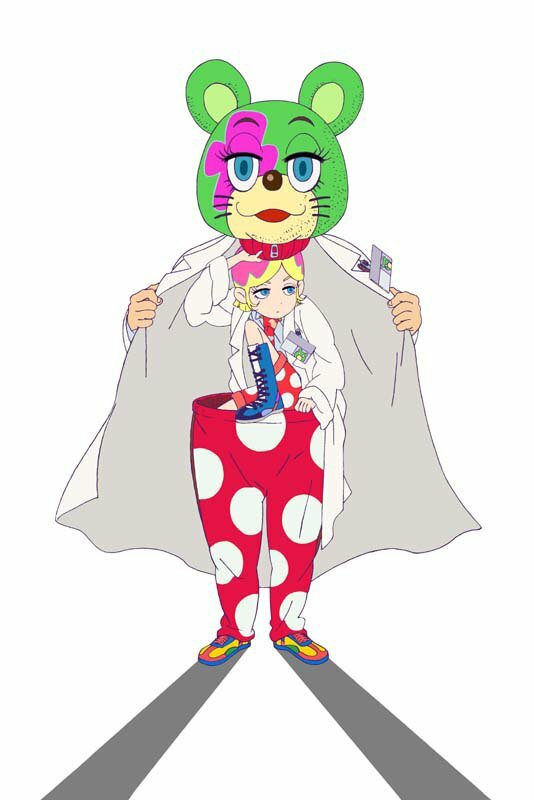 As a result, a Japanese version was announced some years ago, which currently airs during TV Tokyo’s “Nori-Suta 100%” show. The new version is produced by Go Hands, a relatively new studio known for their recent anime “Princess Lover!“, with Makoto Nakamura supervising the project and Susumu Kudo as director. The designs, animation and content are pretty simple as expected of children’s program, but sometimes less is more. Altogether a very disappointing fall season with very few highlights and lots of cookie-cutter anime, so I’m hoping for betterment next year. The winter season has some interesting titles like Gainax‘ “Hanamaru Youchien”, A-1‘s “So-ra-no-wo-to” and assumedly Brainbase‘s “Dhurarara! 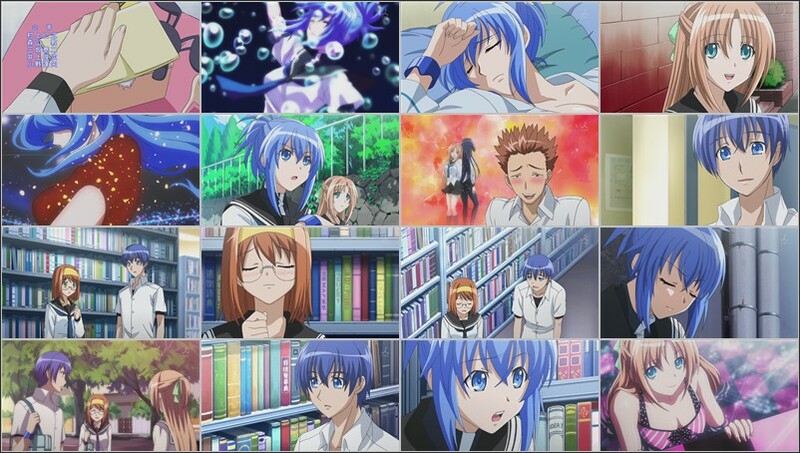 !” in the line-up, at least some promising anime to look forward to. I actually haven’t paid much attention to Needless so far since it’s pretty much standard fare by Madhouse as they tend to outsource “low priority” shows (usually manga adaptions) to their Korean affiliates, but recently there were two episodes which caught my interest, to be exact #13 and #15. I checked out episode 13 mainly because of Seiya Numata‘s participation as he’s one of my favorite animators, his very obvious style with much exaggeration, energetic distortions, fancy effect work and somewhat simplified drawings is very appealing and stands out from the otherwise so powerless movement which dominates anime these days. This style is of course not Numata‘s very own creation since he’s a follower of late animator Yoshinori Kanada and adapted this special approach from Kanada like many other animators before and after him, who are the so-called “Kanada school”. This episode is basically a two-man work, Numata directed and storyboarded the episode and did key animation, while Kyuuta Sakai is animation director and the only other key animator on this episode. It’s no secret that they tend to work together as happend in many cases in the past, especially when Sakai did the character designs (Zoids, Ichigo Mashimaro, Higurashi). 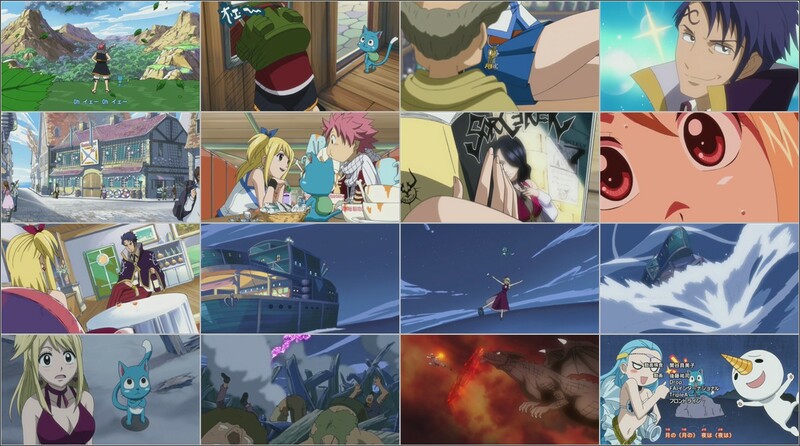 They did also the fanservice-y ending for Needless, which has consequently the same kind of drawing style and feeling as #13. It comes as no surprise that the first episode features some excellent work both on the directing and animation side of things, certainly one of the most impressive first episodes this season. There’s a whole army of animation directors on this episode (9), which says a lot about the good animation quality since more movement means more drawings to correct, so they apparently needed more ADs to complete it in time. Tatsuyuki Nagai‘s directing is interesting as usual, and especially the layout sense throughout the first episode is great with many carefully thought out compositions emphasizing the happenings on the screen and providing an appropriate stage for the characters. 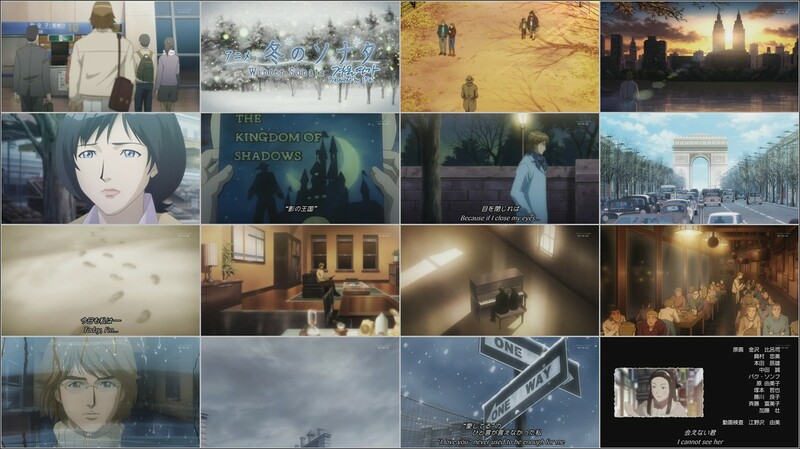 The great layout work was supervised by nobody less than Katsushi Sakurabi, known as the director of “Tsukihime” and “Gunparade March”, who did also some good work on Nagai’s former J.C. project “Toradora!”, in particular his job as episode director of #16 and #24. The final action scene is the stunning climax of this episode, besides the great animation it’s especially the nice storyboarding which gives the scene its tension and Mikoto her stylish and intruding appearance. Since it’s a first episode the key animation credits feature some rather famous names like Shinichi Iimura, Satoshi Iwataki, Nozomu Abe and (of course?) Hiroki Tanaka (the opening displays also some work by him). 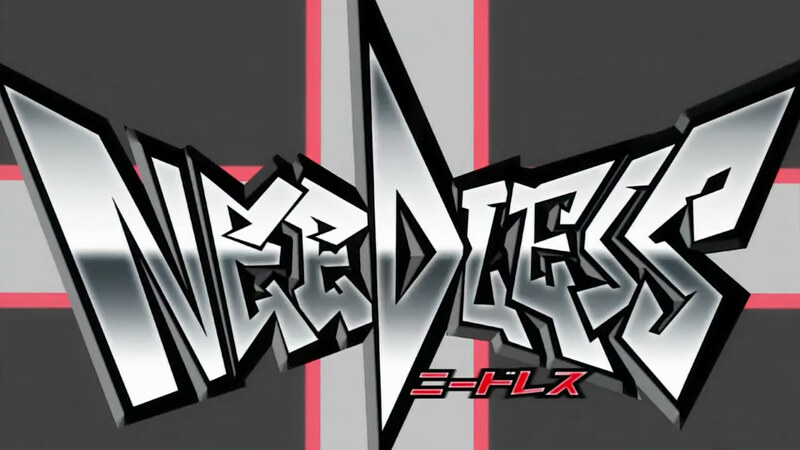 So as far as the production is concerned, it’s certainly a very satisfying debut as one would expect of Nagai, but I have to admit that the scenario is a weak point due to the generic nature, at least that is my impression based on the very first episode. Nagai has already established strong character images and the cunning character interactions which made “Toradora!” so good are also there, so I hope he keeps that up in the succeeding episodes and manages to pull everything together in a worthwile way to cover for its weaknesses. 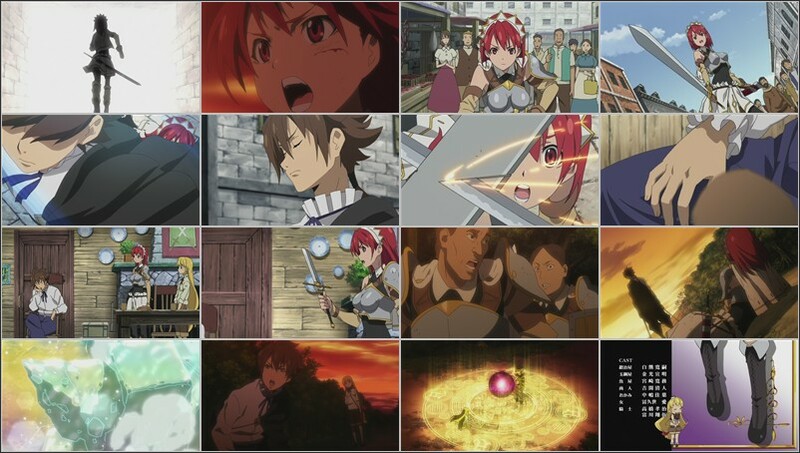 As expected nothing more than a typical light novel/fantasy anime with rather good manglobe quality. The animation is decent enough with some nice cuts now and then, though the directing isn’t that good for the most part but rather bland like the source material. The first episode is dominated by pretty typical anime behaviour and interactions and correspondingly the characters aren’t particularly interesting or likable at this point, however, I’ll check out some more episodes to see where it’s heading. Despite knowing that Kampfer is another one of those mass-produced anime for bishoujo/moe fans I watched the first episode and naturally wasn’t too impressed. It’s the kind of anime popular among otaku these days, with the usual stereotypical cast of characters and unimaginative storyline/setting as well as absolutely trite character designs and poor directing. At least the animation is a bit better than in the typical Deen/Xebec/Arms/ZEXCS etc. production, but I’m sure that will change in the succeeding episodes. Another “masterpiece” by Studio Deen, this time presented in a more self-ironic fashion with loads of references, but it lines up in the studio’s record of cheaply produced series anyway. The first episode is neither particularly good nor really bad, but it certainly shows the origins of david production as the execution is strongly reminiscent of past Gonzo works both in a positive and negative way. Miserable CG work is nothing rare in Japanese animation, but in this case the whole integration as well as the realization are simply uneffective and unaesthetic. The hand-drawn animation is decent for the most part, though I’ve never been a fan of these typical “Gonzo style” drawings because they often look too stiff in motion and aren’t particularly expressive, but compared with some former Gonzo and the Beetrain series this problem isn’t that dominant here (at this point) and at the very least I appreaciate the nice variety of character designs and their rather mature look. I can’t say much about the story yet, but my initial impression is by and large positive, even if the characters and setting feel somewhat familiar. The directing is admittedly not as interesting as I hoped with a pretty typical approach on the visuals. In terms of direction and animation it certainly fulfils my expectations and it’s another good example of how a good production can make up for a generic scenario. The excellent animation enriches the characters’ personalities and makes their behaviour more believable, especially in the scenes with nuanced acting like the part before the ending of episode 1. This scene feels very natural with richness and harmony in the animation and was probably done by Kenichi Yoshida, who did all in all 30 cuts for this episode according to a statement on his BBS. The directing is very interesting too, Hiro Kaburaki certainly knows how to establish a distinctive mood with clear and appealing visuals, even though the typical anime overacting in some scenes is a bit too much for my taste. Overall one of the better anime of this year’s fall season and certainly worth checking out. 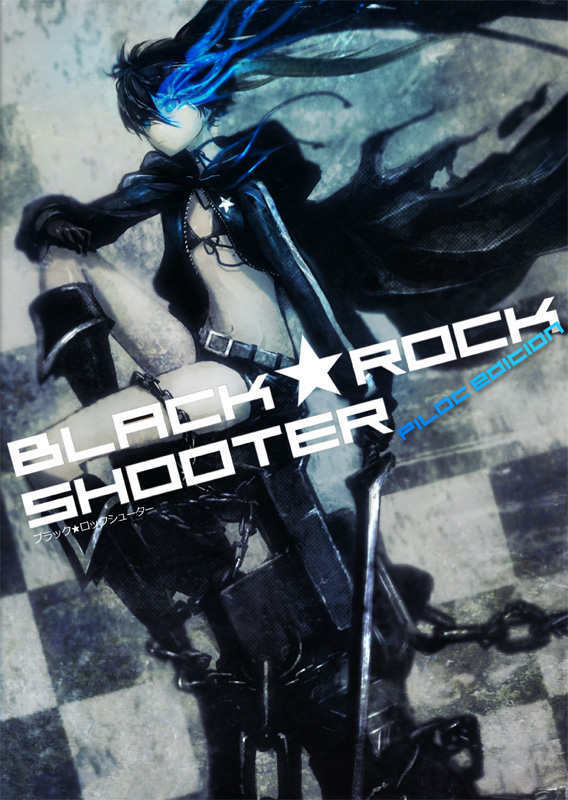 Last week the pilot edition of BLACK★ROCK SHOOTER was released that gives us a foretaste of the upcoming animation project by Yutaka Yamamoto and his studio Ordet. The promotion video of sorts is certainly convincing production-wise, the imaginative approach on visual directing and design as well as the interesting animation style with rippling and cleft lines give it its very own feeling. While Yutaka Yamamoto is the supervisor of the BRS project, it’s former Kyoto Animation member Shinobu Yoshioka who is the actual director. He had a typical career at Kyoani with starting out as animator (Inuyasha, Soultaker, Air, etc.) 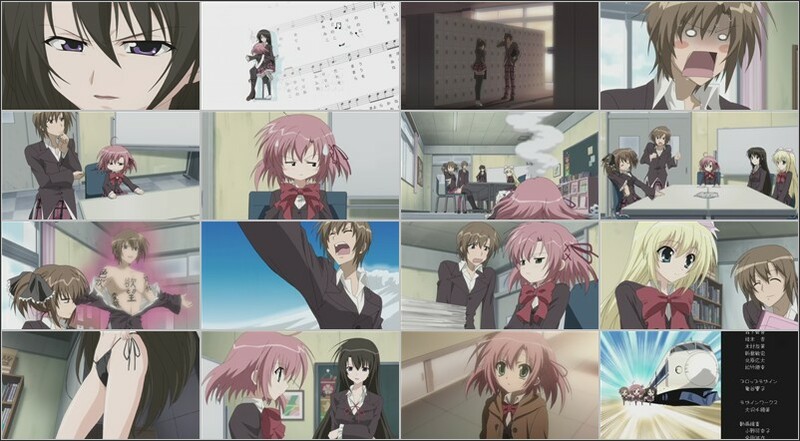 and eventually proceeding to episode direction and storyboards (Haruhi Suzumiya #4 and #6, Kanon #4, some episodes of Lucky Star) after some years of doing animation. After he left Kyoani, Yoshioka worked on various projects on behalf of his new employer Ordet, besides the more obvious and famous works like “Kannagi” (episode director of #7 and #10) he directed also an opening and ending of “Katekyo Hitman REBORN!” (the nice third opening and the rather low-key fifth ending). Furthermore, he did also key animation for aforementioned opening/ending and several other projects like Ordet’s “Shakugan no Shana II” opening (#2) or “Valkyria Chronicles” #1 (sometimes credited with a pen name), so he doesn’t devote himself to directing tasks only. 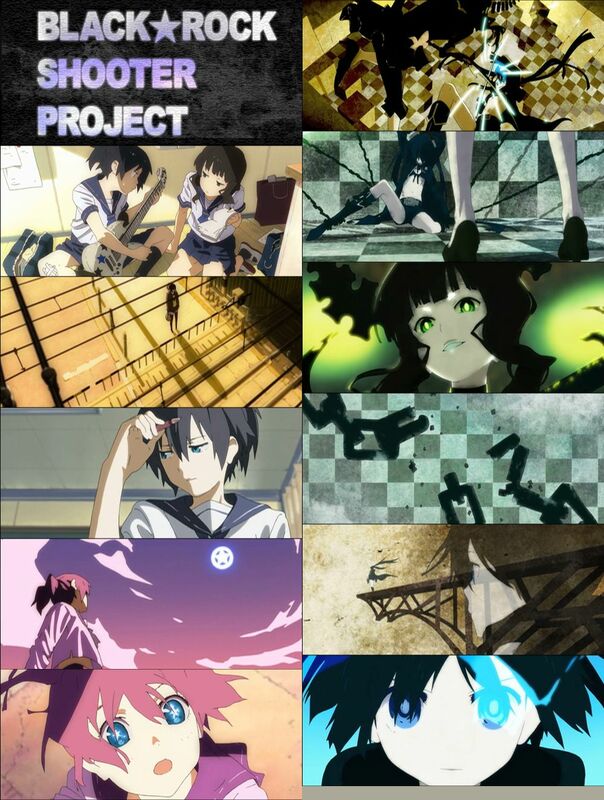 Another ex-Kyoani animator, namely Yuusuke Matsuo, designed the characters for the BRS anime project, the similarity to Kyoani’s or strictly speaking Horiguchi‘s and the Ikeda‘s approach on design is pretty obvious. The animation project is slated for spring 2010 and it isn’t clear yet if it’s a TV series, OVA or something else, though in the case of a TV anime some kind of cooperation with other studios is very likely as Ordet hasn’t the capacities for producing a series alone. 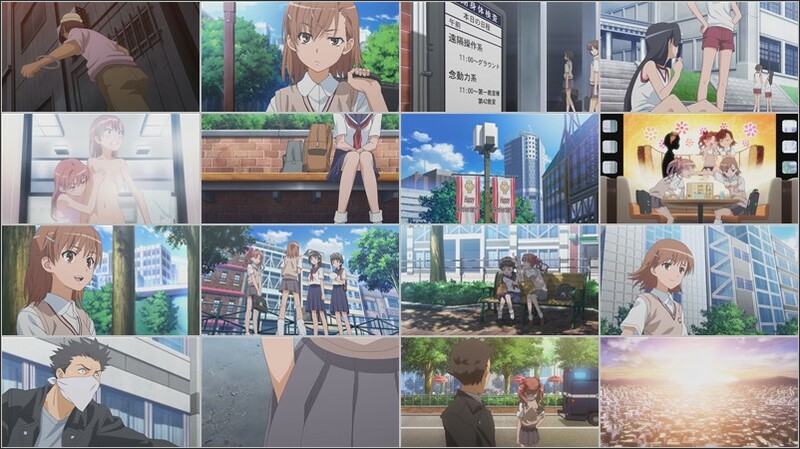 Since the connections to A-1 are already well established – especially through “Kannagi” and more recently “Tonari no 801-chan R” – it’s probably safe to assume that they are involved as well. Studio Ordet was founded by Yutaka Yamamoto and several other former Kyoto Animation/Animation Do staff members – such as Shinobu Yoshioka and Satoshi Kadowaki – in August 2007 after Yamamoto‘s dismissal as the director of Lucky Star. 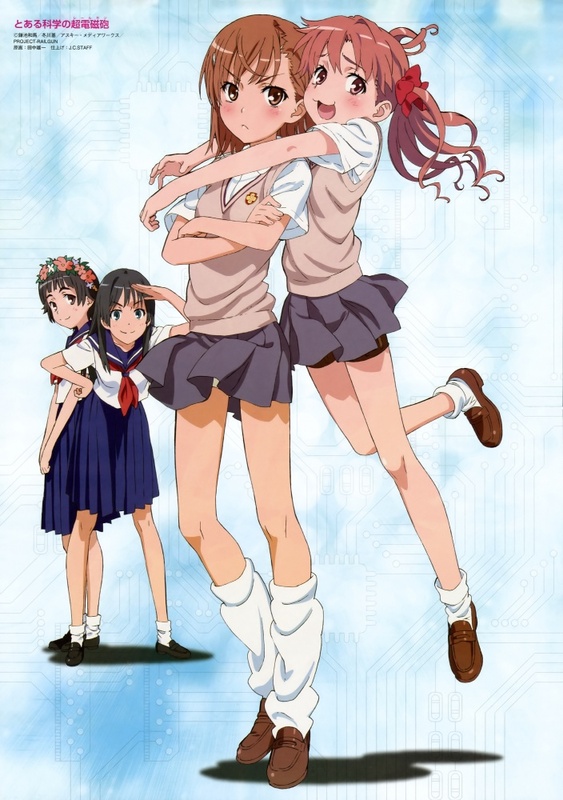 From the very beginning it has been involved in projects of A-1 Pictures and Hal Film Maker until their first more prominent job as production assistance on A-1 Pictures‘ “Kannagi”, which made them widely known among anime fans.